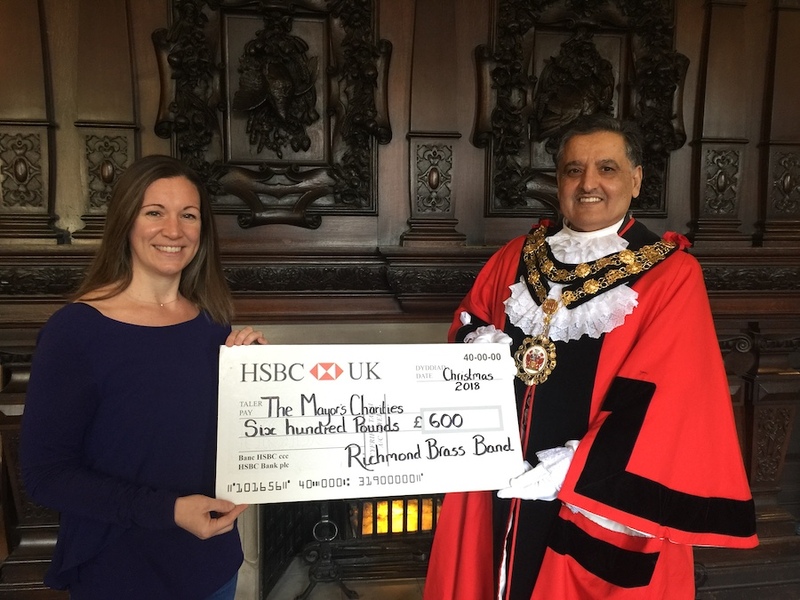 After decades of absence, years of discussion and months of work the Richmond Brass Band – originally formed in 1937 – sounded beautiful music across the borough again on Sunday October 1st, 2017.
considerations came into play. For example, securing a rehearsal venue that was affordable, accessible and free on a Sunday afternoon. The Richmond Brass band has been very lucky to secure The Mall School auditorium! Guidance and support from Trustees in terms of applying for grants was also required (let alone securing Trustees in the first place! we will introduce them properly in weeks to come…). Acquiring music, preparing rehearsal copies and collating everything for more than 30 instrumentalists resulted any many incorrect photocopies at the local library. And to ensure that people could relax, speak to each other and be comfortable – arrangements for refreshments had to be in place! On the day itself, Sunday October 1st, the first test for the band presented itself in the form of an initial rehearsal. After the enthusiasm that had greeted the concept, would people actually arrive with instruments in tow for an afternoon of music making? The answer is ‘yes’, talented musicians turned out in spades! Overcoming some teething issues in the form of access to the auditorium, the energy as more people assembled was a mixture of excitement, nervousness and intrigue – but there was a real energy nonetheless. Excitement for what could be, nervousness as strangers come together to play for each other and intrigue about the new organisation. With a broad cross-section of the community present, everyone had their own story – some that play regularly, some professional musicians, some that were picking up their instrument after a break. 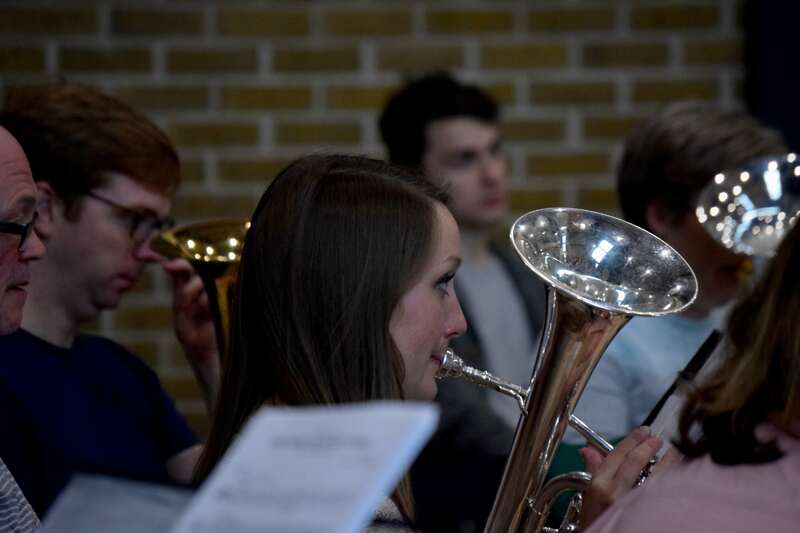 As Musical Director, Victoria van Uden welcomed everyone and picked up her baton (well, pencil…) peoples differences dissipated, the energy focused into one of a team brought together to make music and the unmistakable warmth of a brass band sounded through the air. Playing through piece after piece, designed to ‘test’ the ensemble and gain a bearing on the band’s sound, the Richmond Brass Band produced many surprises. Confronted with different genres, styles and technical challenges, a group that had never played together before October 1st was producing sounds of a magnificently high standard! There were mistakes, laughs and the occasional furrowed brow but more than those was beautiful solo playing, musicality and group performance that would rival great bands. stronger afterwards, new friendships were solidified. Reflecting on how things were going, who knew each other from the past and discussing opportunities for the future, the band members got to know each other a bit better. Reassuringly, many leaving with the phrase “see you next week”! 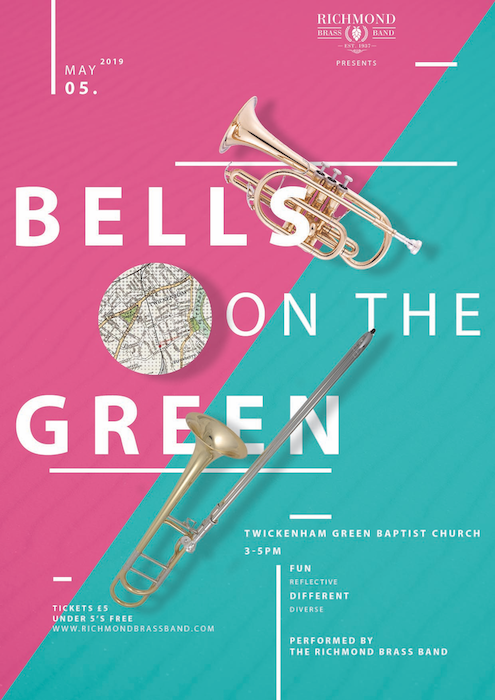 After an amazing beginning (again), we hope that this special group will continue from strength-to-strength and bring brass music back to the borough of Richmond upon Thames. Special thanks to the hard work of all those behind the scenes (too many to mention here) and to Victoria van Uden for her musical vision and direction. 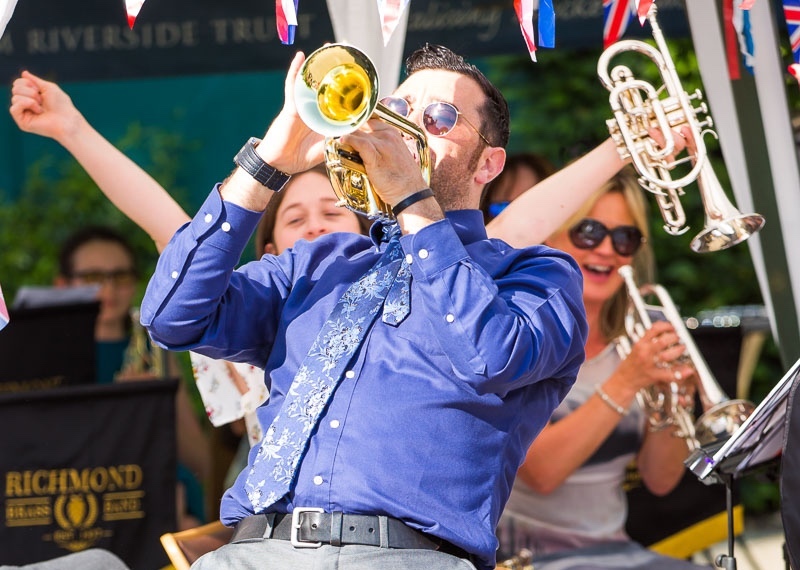 The Richmond Brass Band is a community band for the public to enjoy – on this ‘note’ please continue and extend your support by spreading the word, attending our events or by getting in touch if you would like the band to play at an event or as part of a project. Next post Richmond Brass Band turns 1(month)!